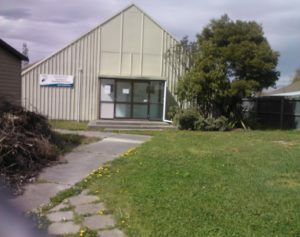 Thanks to great work by the Fendalton-Waimariri Community Board and especially the Service Centre Staff a new, what is expected to be a long-term, home was found at the now closed Kendal School site. A vacant Scout den has been turned into a fully functional shed. The fifty five plus members are now having fun doing personal and community project in a warm and well-equipped home base. Time for a cuppa at the Bishopdale Menzshed. or drop in to the Shed at 55a Kendal Avenue Tuesday and Thursday from 1:00 pm. 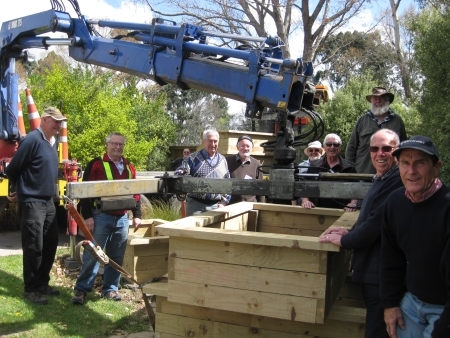 Keen to be a part of the Bishopdale Menzshed? What is a men’s shed? 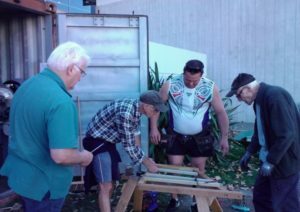 A men’s shed brings men together in a community space to share their skills, have a laugh, and work on practical tasks individually (personal projects) or as a group (for the shed or community).